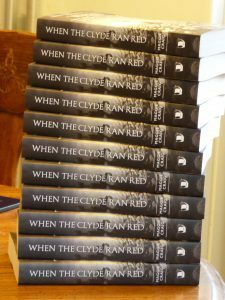 New paperback edition of When The Clyde Ran Red was released on 8th March 2018, published by Birlinn. If you sign up to the mailing list, your information will be processed via the MailChimp mailing list service. Your email address will not be made available to others and will only be used for this newsletter. 2003-2019 © Maggie Craig unless otherwise specified.